Maya Lang’s debut novel, The Sixteenth of June, is a closely observed examination of a family struggling to hold themselves together in the face of mounting pressure on the members to spin off in several directions. Set in Philadelphia on the title date in 2004, it begins with a funeral and ends with a party. Lang uses James Joyce’s often incomprehensible masterpiece, Ulysses, as partial inspiration for her novel’s day-in-the-life story of the Portman family as they prepare to bury the patriarch’s mother and, later, host their annual Bloomsday party in celebration of Joyce’s book, which takes place on June 16, 1904 in Dublin. The story centers around the two brothers, Stephen and Leopold (Leo) Portman, and Leo’s fiancee, Nora, who was Stephen’s best friend in college before she met Leo. Although we get to know the brothers’ parents, Michael and June Portman, we experience the story through the minds and hearts of this romantic and platonic love triangle. Stephen is a brilliant but unfocused Yale graduate student, who is second guessing his plans and misses spending time with his kindred spirit, Nora. Leo is the seemingly shallow but practical man of action who wants only to marry Nora, settle down in the leafy Philly suburbs, and live a life of relative wealth and ease, highlighted by business success and season tickets to the Eagles. Nora is a gifted young opera singer who is derailed by her mother’s drawn-out illness and death; she has walked away from a promising future in opera to sing jazz and gospel, which provide her with rare peace of mind. The engagement of Leo and Nora strikes Stephen as ill-advised; he insists he is not in love with Nora, but simply misses their friendship. Nora has her own occasional doubts about her intellectual and emotional compatibility with Leo, although Nora defends Leo against Stephen’s doubts. 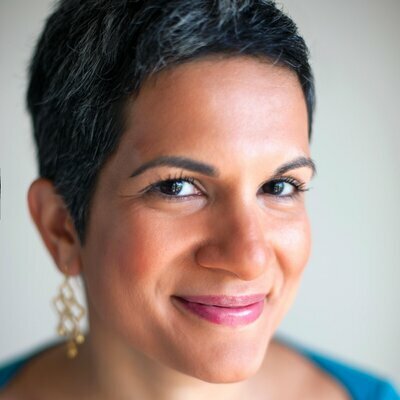 The Sixteenth of June is about the stories we tell ourselves and others, both about ourselves and about others, in an effort to get through the day. If we are ever to be happy, we must at the very least tell ourselves the truth. Lang shows us in this one day that life-altering moments can occur in the midst of our mundane existence. Epiphanies strike when we least expect them. An observation, a word or phrase read or heard, a thought in the thicket of pondering, a memory can all produce the lightning bolt of realization. Stephen, Leo, and Nora all reach crucial decisions about how to live their lives by the end of the day. Although this is a “talky” novel, Lang has a gift for capturing what is left unsaid. It’s not quite “stiff upper lip” English reserve, but much of what is thought and felt by the main characters is left unexpressed, with both beneficial and detrimental effects on the other characters. While one could argue that nothing very exciting happens on this particular June day, Lang’s polished prose results in a narrative that sails along on a gentle but steady breeze, making it a relatively fast read. There is a stimulating intelligence at work on every page, rewarding the reader with pithy insights and observations, sparkling or sharp-edged dialogue, and a reflective but slightly bemused tone. 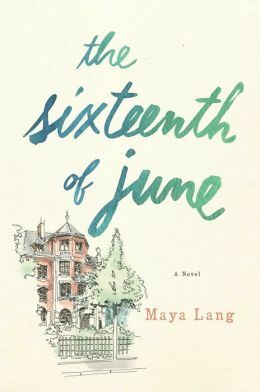 Despite how internal The Sixteenth of June can be at times, it never crawls into its own navel or lets the characters’ occasional ennui turn the story into a sluggish tale of a self-pitying “one percent” family. That is as compelling an argument in favor of challenging literature as one is likely to encounter. There are countless parallels and in-jokes relating to Joyce’s Ulysses in The Sixteenth of June, but it is not necessary to have read, or even to be familiar with, Joyce’s book to understand and enjoy Lang’s novel. Leopold Bloom is the main character in Ulysses. Stephen is named after Stephen Dedalus from Joyce’s A Portrait of the Artist as a Young Man, who reappears in Ulysses. (The Portmans’ dog is named Dedalus.) Nora, is named for Joyce’s wife. (Like the real Nora, the fictional character comes from a middle class upbringing that intrigues Leo, who prefers the earthiness and practicality of Nora’s life to the sterile, status-conscious world he was brought up in.) Lang has also incorporated lines directly from Ulysses into every chapter of her book. Fans of Ulysses will find The Sixteenth of June both an involving read and something of a treasure hunt. For the rest of us (let’s admit it, the non-Ulysses group is 99.9% of readers), The Sixteenth of June is a worthy effort on its own merits. These are three-dimensional characters that you will care about, learn from, and wish well. I’m still thinking (and worrying) about Stephen, Leo, and Nora.